The Greenwich Village Society for Historical Preservation has more about today's news here. Can we all agree here that John Sexton is a S.B.? Yep. Altho Margaret Chin and the rest of the City Council toadies who voted for this monstrosity are not much better. This NYU over-expansion must be stopped. Does anyone believe they won't continue to destroy the character of the West Village, and then the East Village, once this project gets underway? Why they don't just expand to other parts of the city is a mystery. Their bus service rivals the MTA so it shouldn't matter where they put their new buildings. The Brooklyn and Queens waterfront would be much better for 2 million new square feet of construction than the Village. Meanwhile NYU is still using slave labor in Dubai to build out their global campus, so obviously it's not even NYU anymore, it's Global U.
NYU allegedly reported the names of all of the workers who were complaining about their work conditions to the Dubai government, who promptly deported them all. Can we deport John Sexton too? Since he doesn't even do what he promised to do with the construction in Dubai, how can he be trusted to protect the Village? There is no current single institution more destructive to the Lower Manhattan communities than NYU, and that is the plan. Miniature mice with pea-shooters, against genetically enlarged killer elephant. Bring on the dystopian sic-fi vision of architectural Manhattan. Since when do people come to New York City, let alone Downtown, NOT to disrupt things? All this NIMBY commentary makes me very, very sad. What's with the helicopters people? "Since when do people come to New York City, let alone Downtown, NOT to disrupt things? All this NIMBY commentary makes me very, very sad." Probably one of the weirdest comments on here, EVER. WTF are you talking about? I'm being polite now. "... some men aren't looking for anything logical, like money. They can't be bought, bullied, reasoned, or negotiated with. Some men just want to watch the world burn..."
So, how did that one turn out? 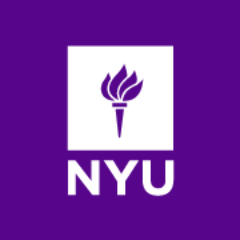 NYU benefits from having a "low" admit rate. So what is the expansion for? Is it NYU's expectation it will increase the number of wealthy Chinese and Russians? Is that the purpose of NYU's expansion? NYC taxpayers should be forced to support? And NYC should lose Greenwich Village for the educational needs of wealthy non-Americans?